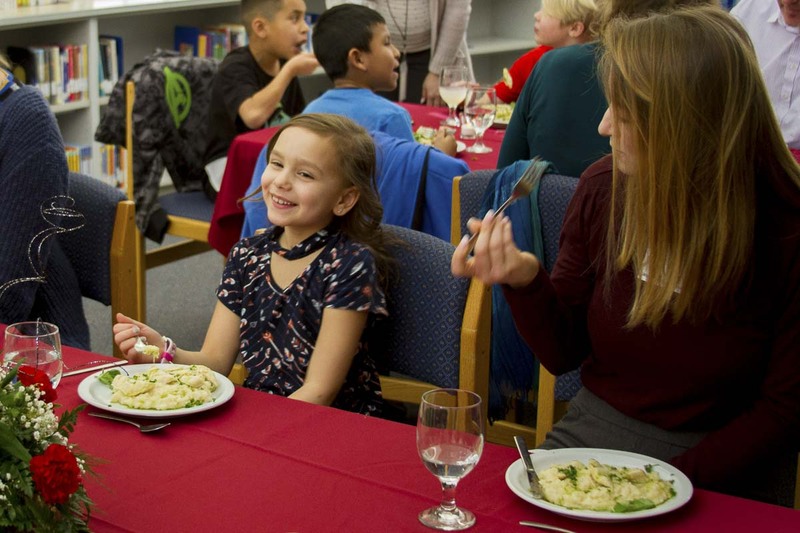 WOODLAND — Third graders at Woodland Intermediate School learned proper table manners and how to use a full set of dining utensils while enjoying a multi-course meal during the annual Fine Dining Event sponsored by Sodexo Dining Services, provider of food services for Woodland Public Schools. Laura Perry, head of Nutrition Services for Woodland Public Schools, organized the event. 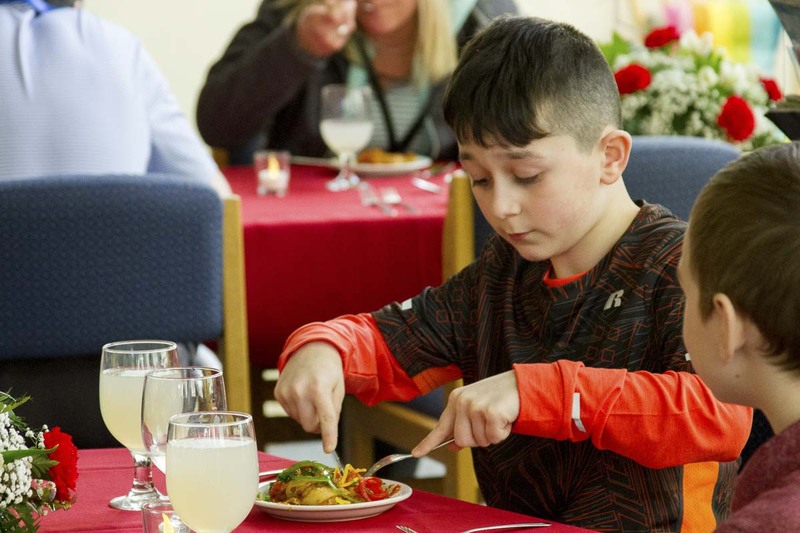 Before the day of the meal, Perry visited the selected classroom and taught students proper table manners, appropriate meal conversation topics, how to sit, and how to use the variety of silverware at their placemats. 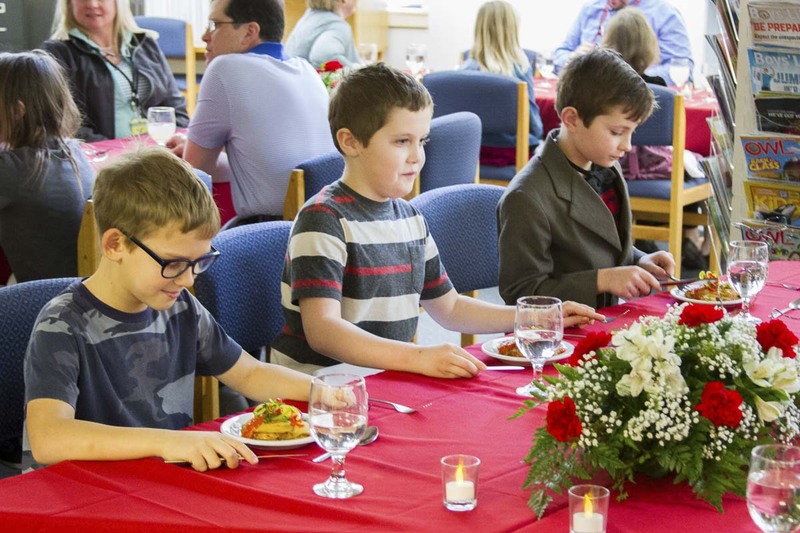 This year’s event was located in the school library which organizers transformed into a fine dining establishment complete with tablecloths, table centerpieces, mood lighting and even dining by candlelight (provided by small battery-powered electric candles, of course). Food services staff and volunteers serve the event. Parents serve as wait staff, often dressed in formal attire and wearing serving aprons to complete the experience. 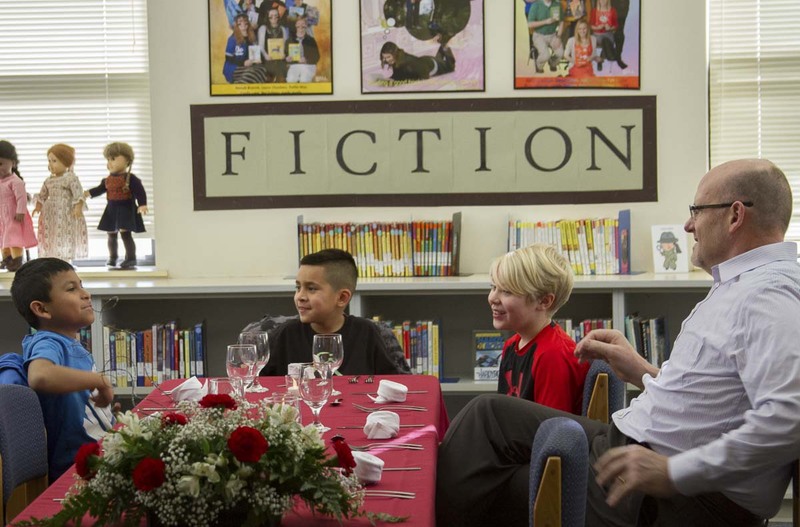 Perry welcomed the class and attending adults to lunch, describing each of the courses that would be provided and refreshing attendees’ memories on proper etiquette. “I know the students have just learned these lessons so this refresher is for the adults in the room,” she joked. 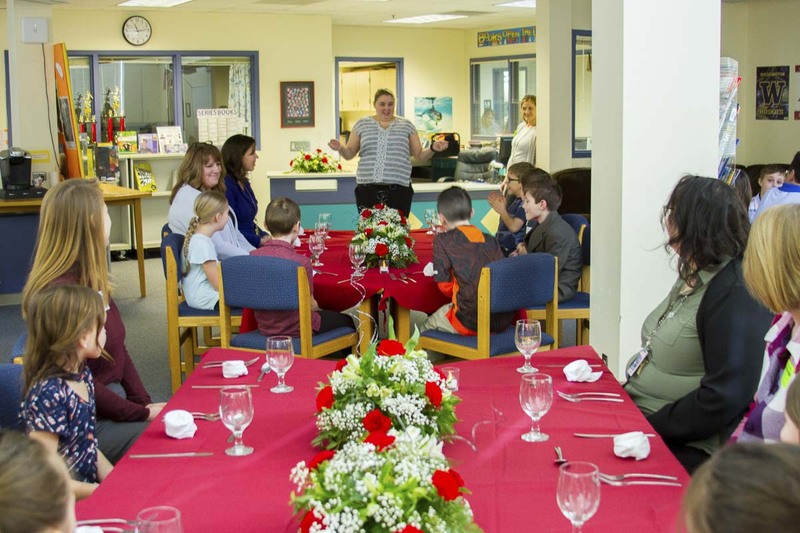 Students politely introduced themselves to their tablemates who included classmates as well as district staff members including Woodland Intermediate School Principal Denise Pearl, Superintendent Michael Green, Board Directors Janice Watts and Steve Madsen and other staff from around the district. Diners started with an appetizer called Barbecued Cheddar Chicken Pull-a-Parts followed by the main course, Grilled Chicken Parmesan Cauliflower Risotto with Basil Oil. 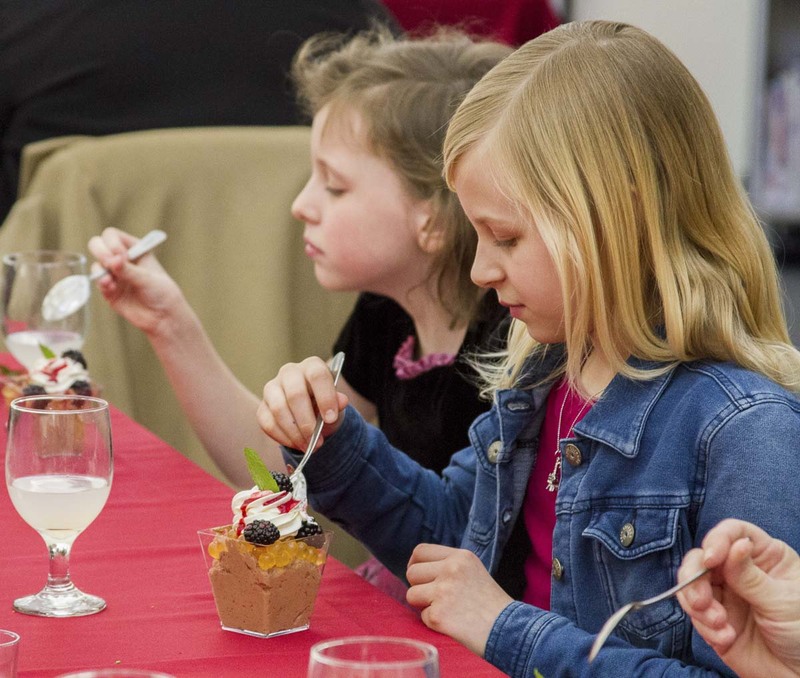 Dessert was the favorite course of many of the students (and adults, too!) – Chocolate Mousse with Passionfruit Pearls and Blackberries, topped with whipped cream. Sodexo Regional Chef Dave Williams designs and prepares the menu. Following dessert, Perry introduced her helpers including Chef Williams and her volunteers. 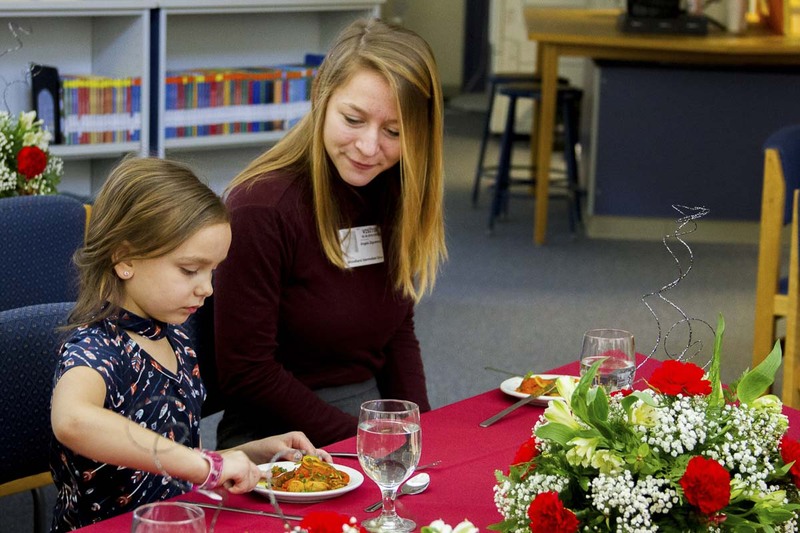 She concluded the event by asking students if they tried anything new, if they enjoyed themselves, and by giving a round of applause to the chefs and helpers. Information provided by Woodland School District.